42 per cent of large companies say that in some areas of the supply chain they are still blind because no data are collected there. 46 per cent of German companies with more than 250 employees are already feeling the impact of digital interconnectivity and automation along their value creation chain. 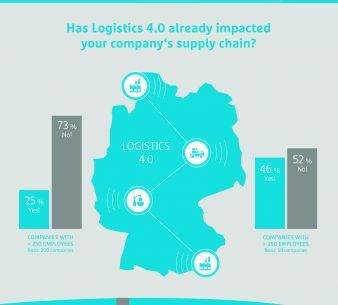 These are the results of the Hermes Barometer “Supply Chain Management and Logistics 4.0” from Hermes Germany, taken among 200 logistics decision-makers in German companies. In some places, scepticism with respect to the possible risks of digitalisation still prevails, despite the many obvious opportunities. Logistics 4.0 describes a fully-integrated, interconnected and automated supply chain with decentralised decision-making structures. While above all larger companies are playing a pioneering role when it comes to implementing such digitalisation projects, the German economy as a whole is not there yet. 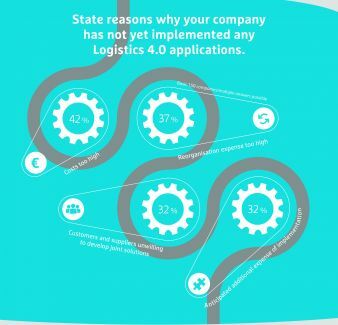 Among all those surveyed, so far one in four companies benefits from Logistics 4.0. The majority of these have either already introduced initial applications or are still in the implementation or planning phase. The biggest obstacle: almost every second decision-maker is worried about becoming dependent on IT. There are a number of reasons why many German companies are still reluctant to implement Logistics 4.0. As many as 48 per cent are concerned about what they see as the danger of becoming too dependent on technology providers. Reduced data security and a higher risk of industrial espionage were cited by 47 per cent. Fears that network-based communication may not be stable enough make 36 per cent hesitant. Overall, however, the survey shows that a narrow or a clear majority in each case attach little or no significance to the various risks. The majority of logistics decision-makers also believe that digitalisation offers great potential. 61 per cent of those surveyed agree that it will change transport and logistics processes fundamentally. Among larger companies, 74 per cent shared this view. 76 per cent of these were also of the opinion that the greatest opportunities here lie in increased transparency. In light of the above, it comes as no surprise that some companies complain about the blind spots that still exist in the supply chain where no digital data exchange is possible. 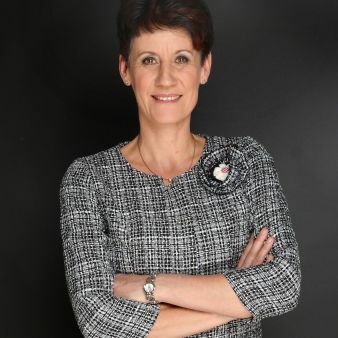 Logistics experts like Hermes Germany support companies in identifying potential for optimisation along the supply chain. At the same time, they also establish where introducing modern technologies for automated data exchange is worthwhile. The first step is an in-depth analysis of the supply chain, which Hermes Germany carries out with the help of its SCAN analysis tool. Based on the results of the analysis, Hermes Germany then proposes recommendations and concrete measures that help to make logistics processes more transparent.